i don't really have a favorite they all have they're high points. in A nightmare on elm street i like the Tina's death scene like how Freddy pops out from the tree and says "Tina watch this" and he chops his fingers off.i also like that scene at the school in the boiler room. 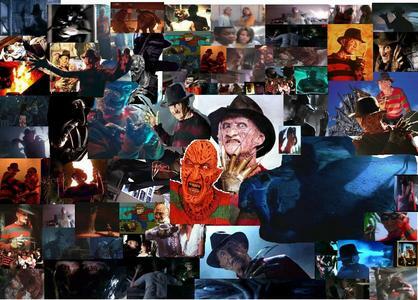 in part 4 dream master i liked all the dream scenes Rick,Sheila and Kristens death i like Freddy's style in those death.I also like that scene when the dad says "you call this a meal i work an 8 hour work day for this vegitation what am i a rabit"
AWESOME!! I agree with all of it! Especially the dad's line in the 4th movie. And Freddy vs. Jason if that counts!